Faraday, you were thrown under the bus, dude! Beautiful window! We predict that will be THE spot for sunpuddle napping in the years to come! Watch out if they paint that wood. You don't want to paint your own tail! Ha-ha, Faraday! Sorry, I can't stop MOLing! What a beautiful sill, Faraday. You'll have quite a view of both the outdoors and whatever's cooking, too! You definitely look angelic, sweet boy! Very nice and the perfect spot for the cats to watch bird tv. Good practicing, Faraday! You're doing a great job, dood! Bird TV, hot and cold running water, short hop to the deli....probably the best place to be. Don't hang around too long though as you may get painted over! 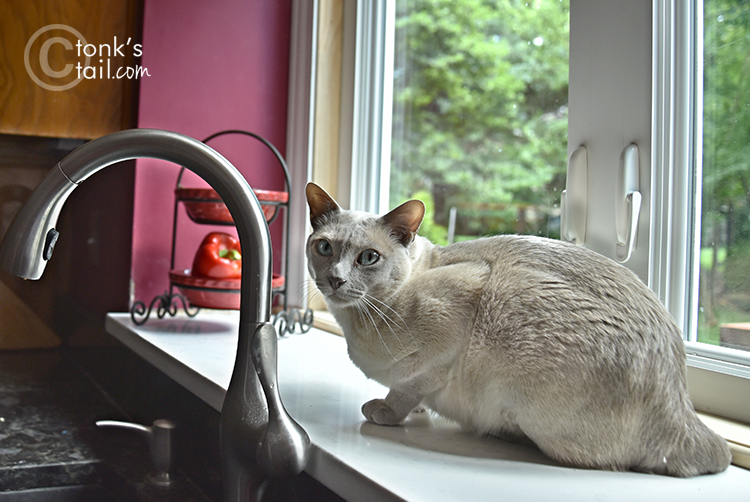 Faraday could do modeling for magazines featuring other beautiful kitchens! Mom loves the paint color you chose and the marble! She plans to replace our counter tops with marble, too. Purrs! 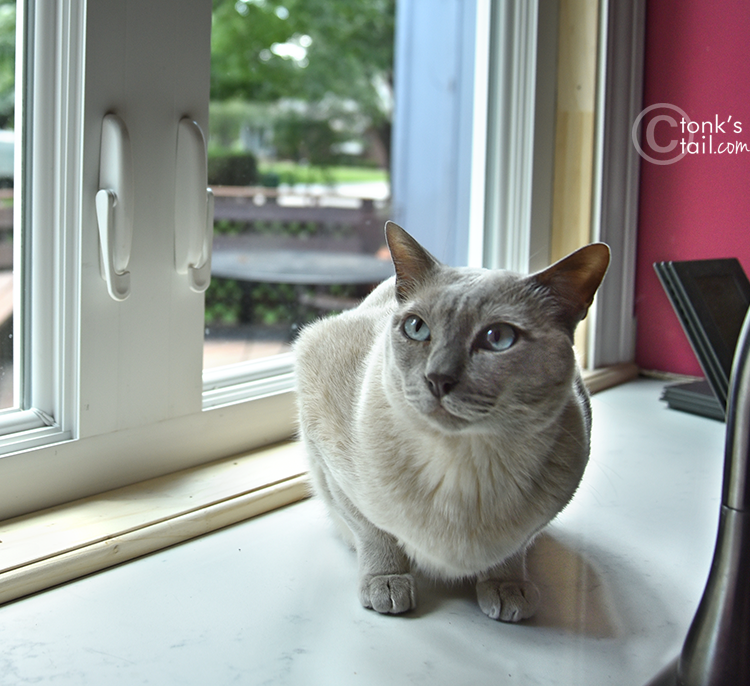 Looking good and wonderful windows for seeing the outside!